Each side of the bed can be adjusted separately so that both you and your partner can enjoy the feel and support you need. And unlike an air bed, with at most only 3 adjustable zones per side, the izone bed allows you to adjust 7 individual zones per side from soft to super firm. 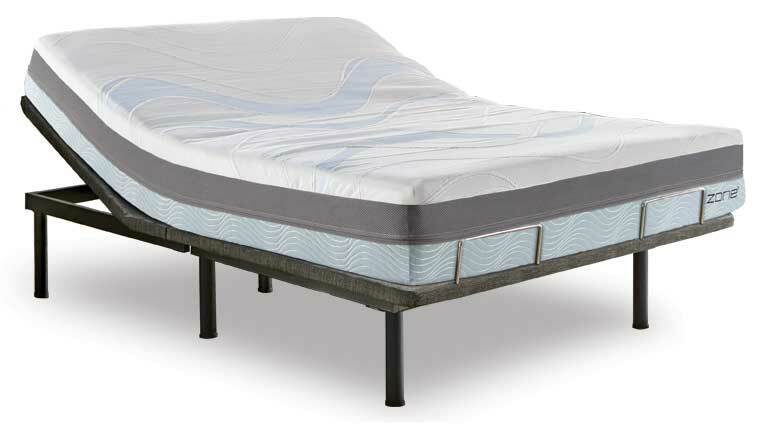 A traditional air bed, like a Sleep Number® bed by Select Comfort®*, requires computerized electronic devices in order to adjust the firmness level. An izone bed has no electrical components or moving parts, yet you can achieve more precise, individualized comfort and support the entire length of the bed. izone uses water to create contouring adjustability, making it a simpler, less complicated way to achieve your ideal comfort and support level. Just assemble your izone bed, set the 7 individual calibrators to your desired support level and enjoy the best sleep of your life. When sleeping on a traditional air bed you may experience an unhealthy trade off between comfort and support. If you have a high comfort level number you want extra support. However, as you add more air to the bed and it becomes firmer, the mattress can become less contouring. On the contrary, as you release air to make the bed plusher and therefore more contouring, you can loose support. The heavier parts of your body may sink, creating an uncomfortable and unhealthy "jack knife" effect. Izone uses water, a natural element that is more contouring than air, to create the adjustment between soft and firm. Water will give you the adjustable support you need, but stays contouring and comfortable. The unique properties of our air flow system combined with water filled calibrators eliminate excess body heat. 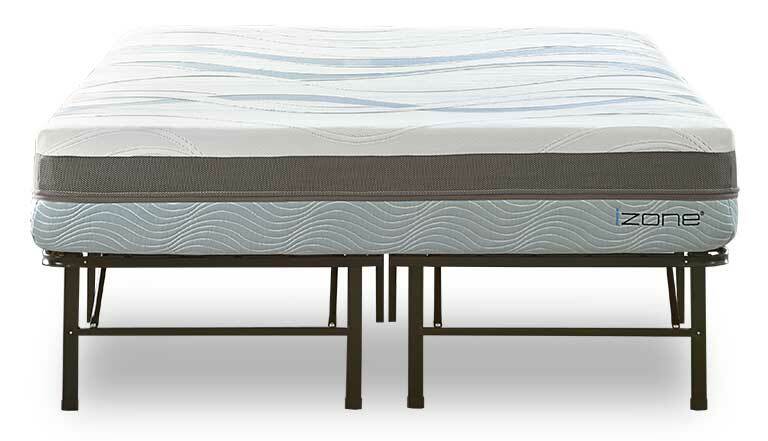 Channel cuts in the foam support layer as well as ventilated memory foam allow air to circulate freely. This ensures you are never too warm or too cool as you sleep. For your peace of mind, izone has a removable, washable cover and built in bed bug barrier, ensuring your bed remains clean and fresh for as long as you own it. Our CertiPUR-US® foams contain no harmful chemicals. My wife and I really like our new izone bed because we each have it customized to just how we like it. We have ended our lengthy discussions about firm vs soft bed preference. I adjusted the water bladders twice in the first month, improving my sleep with each change. Now that I have it where I like it my morning hip pain has gone away. My wife likes her side as firm as she can get it and it has helped her back. My wife and I have literally been on a mission for a decade for the right bed for both of us and this is it. Glad it didn't take us a lifetime to find a bed that fits both of our needs. My wife and I could never agree on a bed. There is over a foot difference in our height and over 100 pounds difference in our weight. 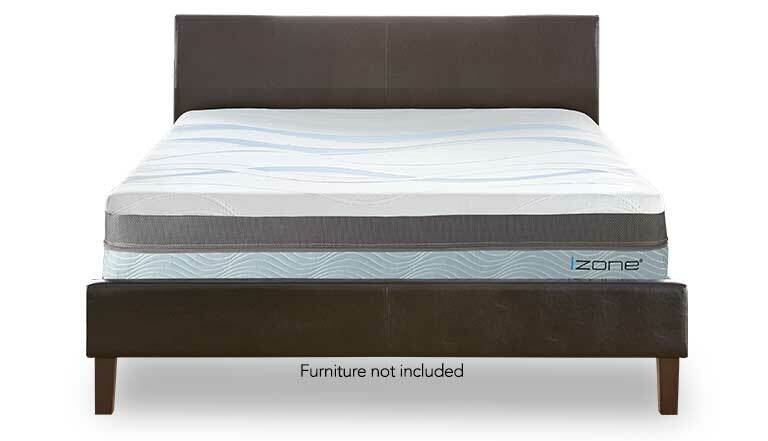 The iZone bed solved all of our mattress problems! 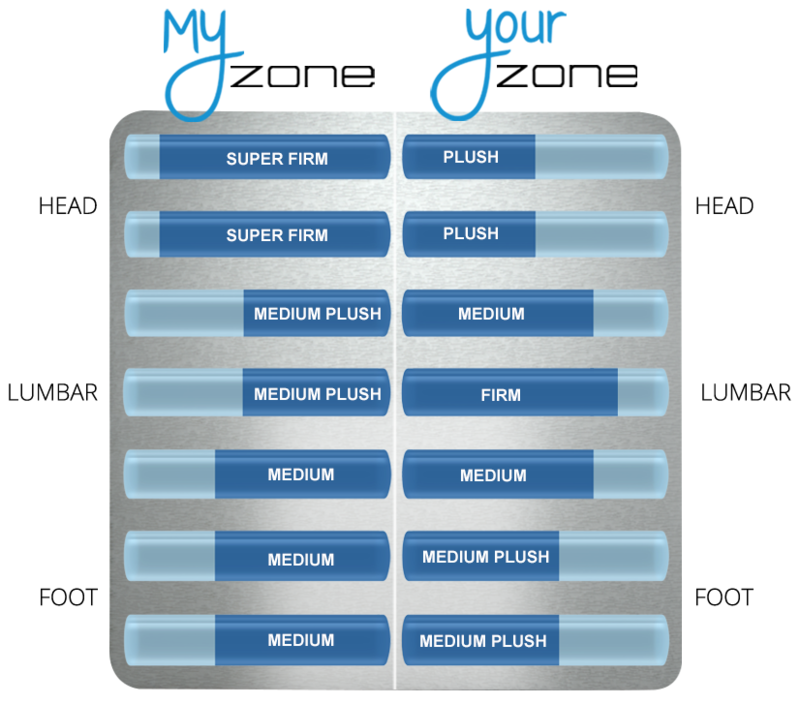 I can have my side firm like I need and my wife can have her side plush like she wants...Now I get a great night's sleep EVERY night!!! *No affiliation exists between iZoneBed.com and Sleep Number Bed®. Select Comfort®, SLEEP NUMBER® and SELECT COMFORT® are fully registered trademarks of Select Comfort Corporation. No product belonging to Select Comfort® or Sleep Number® is sold on this site and any reference is for comparison purposes only.